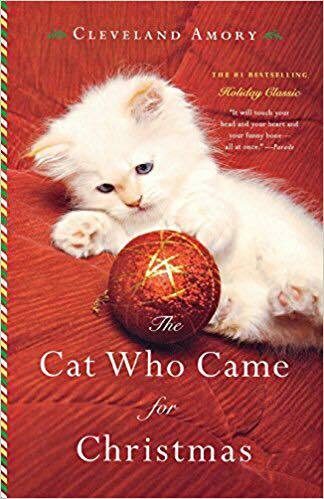 What is everyone favorite Christmas Book? An oldie but goodie… Christmas Carol by Dickens! The Christmas Box – Richard Paul Evans- I’ve never actually read the book but the movie is one of my favorites and has been since I was a kid. This sounds like a good holiday read for me! Oh I forgot about that one! He wrote several very good books. It’s not a chapter book or adult book…. My favorite Christmas book is called Santa Mouse. The House Without A Christmas Tree 🎄, by Gail Rock. And christmasy at the same time! Like the grown up version of a nightmare before christmas!! One of my very favorite books! If you’ve never read a Cleveland Amory book, you’re missing out…especially if you’re an animal lover! He was a wonderful writer and well-known animal advocate. Jean it is very funny and heartwarming all at the same time. Cleveland has a dry sense of humor. His writing will make you laugh out loud! Catalogued a Christmas picture book today 🙂 Can’t get away from them. Christmas Eve on Sesame Street. An oldie but goodie. The Christmas Train by David Baldacci. Any Christmas story by Richard Paul Evans. Christmas with the Kranks. I can’t remember the name of it, but so funny! The title is Skipping Christmas it’s great!